EasyPHP gets you up and running in just a few minutes. Today I saw the Galaxy Tab on the website of a danish retailer. 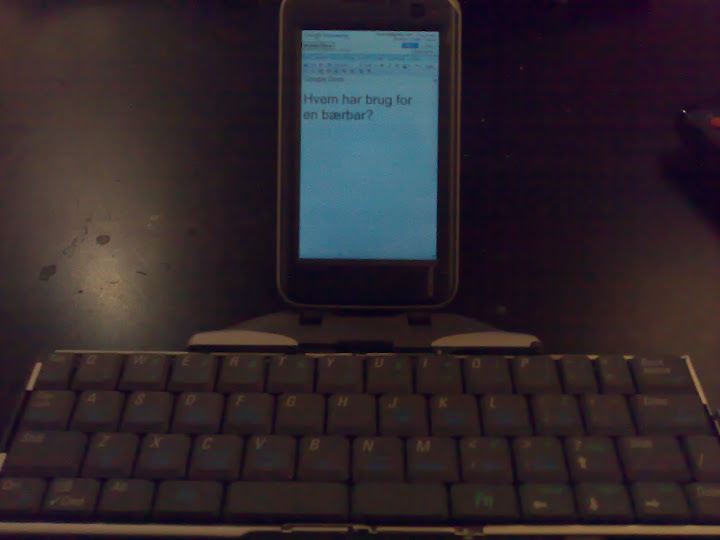 The fourth picture shows the Galaxy Tab with a physical keyboard, and it reminded me of a picture I took, when I got my N810 years ago. The N810 was the third “Internet Tablet” from Nokia and also the last(yet), if you don’t count in the WiMax edition. Later on, the N900 took over and carried on with the Maemo OS. The N810 features a 4.13″ 800×480 pixel display and qwerty keyboard. It’s a bit slow in todays standard, but still very usable. Anyways, I just wanted to share this little moment of gadget evolution. Oh, check out the header-picture btw, it’s the same one. Learning new stuff is a lot easier, when you have access to good and inspiring materials to aid you on the way. So, Front Page Category didn’t cut it for me. It was to “exclusive”, so to say. The plugin did exclude the category “Blog” from the frontpage, but it also made it impossible for the category posts widget to display posts from the category. That wasn’t good, cause I do want the blog to be more visible than it would with only the tab in the navigation bar. I found the plugin Simply Exclude instead. It’s actually a bit confusing to use, but once I got my head around it, it does what I want it to. I’ll recommend it for sure. It seems to allow for some good fine tuning. I wanted to have a blog on this site beside the more in-depth “How-to” stuff. I had to figure out how to keep the blog posts away from the frontpage, as I wouldn’t like for the small ramblings to take attention away from the heavier posts. Anyways, I might have found the answer in the plugin called Front Page Category. I simply allows you to check off the categories, that you want to appear on the frontpage. I would like for the small blog posts to appear in a widget in the sidebar, and for that, I need to create a category which holds a least one posts. That’s the one you’re looking at right now. A small screenshot of the Python prompt and the familiar logo pulled from Wikimedia Commons. [tweetmeme]A few days ago it was announced, that there’s gonna be held courses in programming for journalist in Denmark next year. Check out the blogpost from the guys behind it (in danish). They are gonna to make web-scrapers with the programming language Python, and it got me fired up on refreshing my (puny) Python skills.